GIANT MONSTER MONTH demands a GIANT MONSTER FAN-OF-THE-WEEK! SIR PAUL KNIGHT or “PAULZILLA” , has been watching good, bad, and misunderstood movies since his first hatching. His dear “Momzilla” recalls him peeking around the castle couch to watch THE WOLFMAN(1941) at the tender age of 3. Unlike other kids his age, he seldom had nightmares watching all the spookiness. He was lucky enough to catch the tail-end of the AURORA Monster Model craze in the mid-70’s, working on the Glow-in-the-Dark versions of THE CREATURE FROM THE BLACK LAGOON(1954) and GODZILLA(1954) models with his Dadzilla. After seeing most of the UNIVERSAL MONSTERS on TV, he came upon a wondrous find one day. While shopping with Momzilla, THE CREATURE FROM THE BLACK LAGOON leapt off the newsstand on a magazine emblazoned the title “FAMOUS MONSTERS OF FILMLAND”. This was Paulzilla’s first foray(or is it Forry?) into the wild world of Warren Publications helmed by the wonderful FORREST J ACKERMAN and JIM WARREN. So began the journey into other Warren mags such as EERIE, CREEPY, and, of course, a little later, VAMPIRELLA. UNCLE FORRY was a writer, a literary agent, a principle founder of modern fandom, and probably had the world’s biggest collection of books and movie memorabilia. He was a great influence to both horror and science fiction and to Paulzilla. Back in 1999, Paulzilla’s writing colleague and mentor Deborah Painter, persuaded him to co-write an article on DR. MADBLOOD for SCARY MONSTERS MAGAZINE, Issue number 38. He’s been making contributions in SCARY MONSTERS ever since–a book thought to be the spirit successor to Forry’s FAMOUS MONSTERS. BTW Insomniacs, you can find CINEMA INSOMNIA host MR.LOBO in back issue #60, and #69 regarding the horror-host documentary he narrated VIRGINIA CREEPERS(2009) directed by SEAN KOTZ, and also a nice article on MR. LOBO’s mentor BOB WILKINS in issue #51. SCARY MONSTERS MAGAZINE has been going strong for over 25 years now, and I’m honored to be associated with it. In 2010, Paulzilla was approached by Debbie Painter to contribute a chapter to her book, FORRY: THE LIFE OF FORREST J ACKERMAN (McFARLAND PUBLISHING) relating his personal encounters with him over the years. Even though CINEMA INSOMNIA aired only briefly in the HAMPTON ROADS area in 2003-2004 on COX 71, thanks to the inter-webs and Livestream channels like THE KREEPY KASTLE and THE VORTEXX, Paulzilla has been able to catch-up with CINEMA IMSOMNIA episodes, and really digs MR. LOBO’s homage’ to the great hosting legends, Mr.John Stanley and Bob Wilkins. “Mr.Lobo has his own unique style, but you can definitely see the influence these two gentleman had on him. Mr. Lobo was broadcast on a number of stations in Virginia and has legions of Insomniacs here. Finally, after years of being a fan of the show, I got to meet Mr.Lobo and the lovely Dixie Dellamorto Lobo, at Monster Fest-11 in Chesapeake,Virginia,in 2014. I happily left the SCARY MONSTERS table I was manning to purchase MR. LOBO’s Fan Club Kit at the CINEMA INSOMNIA table. Thank you, PAULZILLA KNIGHT, valued Sleepless Knight, for ALL of your support, for MR. LOBO and CINEMA INSOMNIA, and for watching all those Misunderstood Movies! Here is your FAN OF THE WEEK certificate that you can download, print, share and enjoy. Congratulations, SIR PAULZILLA KNIGHT – SLEEPLESS KNIGHT OF THE WEEK–May 8th through May 14th, 2015. You now stand alongside your “FAN OF THE WEEK” siblings and like them, you are eligible to become the FAN OF THE YEAR or receive the prize package that will include a framed certificate, official Lobo Necktie, Lobo Badge and other goodies. Knights, welcome PAULZILLA to the elite inner circle of SUPREME SLEEPLESS KNIGHTS. If you or someone you know deserves this honor send your fan story and pictures to mrlobo@cinemainsomnia.com. Our SLEEPLESS KNIGHT OF THE WEEK is Kooky, Spooky, and All together Ooky! 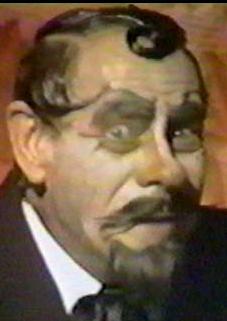 HORROR HOST SIR ORMON GRIMSBY’s origins began in Detroit, Michigan, where he grew up watching the classic horror host SIR GRAVES GHASTLY. Since then, he has established himself and his own show MONSTER CREATURE FEATURE where he brings his own thrills to audiences. When it comes to his favorite CINEMA INSOMNIA episode, SIR GRIMSBY explained that it would be the classic CINEMA INSOMNIA Sci-Fi episode featuring INVASION OF THE NEPTUNE MEN! Here is the episode for you to “Tune In” and Enjoy! Thank you, ORMON GRIMSBY, valued Sleepless Knight, for ALL of your support, for MR. LOBO and CINEMA INSOMNIA, and for watching all those Misunderstood Movies! Here is your FAN OF THE WEEK certificate that you can download, print, share and enjoy. Congratulations, SIR ORMON GRIMSBY – SLEEPLESS KNIGHT OF THE WEEK–May 1st through May 7th, 2015. Knights, welcome ORMON to the elite inner circle of SUPREME SLEEPLESS KNIGHTS. If you or someone you know deserves this honor send your fan story and pictures to mrlobo@cinemainsomnia.com. THIS SLEEPLESS KNIGHT IS A COMIC SUPERHERO, DISGUISED AS MILD MANNERED FAN OF THE WEEK! SIR ROB L. McCARTHY is a Comic book reviewer, a writer, a hero in the “disabled community”–and to us CInsomnmiacs! He first found CINEMA INSOMNIA back when it used to air in the San Francisco bay area on KTEH Ch. 54 and transformed into the loyal viewer and Sleepless Knight he is today. Quit witted and naturally funny, SIR ROB has excitedly and expertly written hilarious gags for MR. LOBO for many CINEMA INSOMNIA episodes and for live shows such as Blobfest. Back in 2013, he helped shape the “wheelchair enhanced” character of Professor Ex-Exorcist in our 2013 CINEMA INOSMNIA Haunted House Special. Thank you, SIR ROB L. McCARTHY, valued Sleepless Knight, for ALL of your support and for watching all those Misunderstood Movies! Here is your FAN OF THE WEEK certificate that you can download and print. Congratulations, SIR ROB L. McCarthy –THE SLEEPLESS KNIGHT OF THE WEEK–for February 20th through 26th, 2015! GULP! PREPARE YOURSELF FOR OUR FIRST FAN OF THE WEEK OF 2015! SIR SCOTT BRADLEY has been a monster-sized fan of misunderstood movies since he was a little kid. 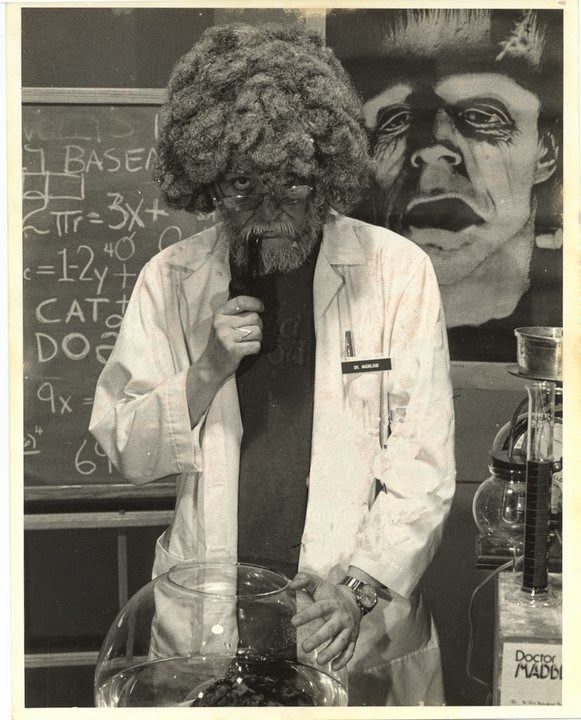 Classic horror hosts, UNCLE TED from his GHOUL SCHOOL in Wilkes-Barre, Pennsylvania and Philly legend DOCTOR SHOCK along with their own personal bags of tricks and fantastic films could be found enjoyed in his family home. When it comes to Horror Hosts, he believes it’s a uniquely bizarre art form and at the time they along with the films were frightening, but today he has found a love for them. His favorites are films created by the beloved cult or “campy” masterminds like ED WOOD, JOHN WATERS, and RUSSEL MEYER, because they celebrate the average person in today’s world and open the eyes of people from all walks of life. SIR SCOTT discovered MR. LOBO back in the mid-2000’s when CINEMA INSOMNIA aired on KTEH PBS channel 54 out of San Jose, California. At that time, SCOTT attended a live LOBOTRONIC film show at the BAL THEATER in SAN LEANDRO. He recalled his first thoughts and impressions of our host MR. LOBO on stage and screen. SIR SCOTT has helped advertise as well as “random vandalism”, as he called it, for MR. LOBO’S many live shows at the Bal Theater. He recalled the highest point of his fandom was when he was able to supply some tombstones and decorative props for MR. LOBO’s Halloween show at the Theater. “Sleepless Knight Scott Bradley is the real deal. We need more like him. He really gets what we are doing and knows what we are up against to do this kind of show in this day and age. He provided much appreciated support when we were doing shows in the bay area. He is now part of our nation-wide CInsomniac family and helps make this world safe for Misunderstood Movies.” –says Mr. Lobo. Scott also donated to CINEMA INSOMNIA’S 10th ANNIVERSARY KICKSTARTER and proudly displays his “thank you” certificate and screen used LOBO TIE.. Thank you, SIR SCOTT BRADLEY, valued Sleepless Knight, for ALL of your support and for watching all those Misunderstood Movies! Here is your FAN OF THE WEEK certificate that you can download and print. Congratulations, SIR SCOTT BRADLEY –THE SLEEPLESS KNIGHT OF THE WEEK–for January 30 through February 5th, 2015! We are always looking to receive more nominations for future FAN OF THE WEEK awards and articles! If you’d like to be nominated for FAN OF THE WEEK or know someone you believe should be nominated, leave their name(or names) in the comment section. If you also like to send your story about how you came upon CINEMA INSOMNIA and your love for MR. LOBO and misunderstood movies–send us your story through direct message. Keep your eyes open and you might stand alongside SIR SCOTT and many others as FAN OF THE WEEK!